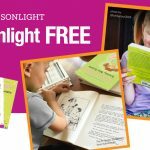 I read this article and wanted to share it with you: 3 Reasons to Homeschool During Each Stage of Childhood https://blog.sonlight.com/reasons-to-homeschool-during.html. 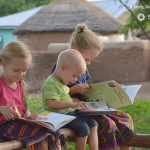 Regardless of your children's ages, you probably have overarching reasons to homeschool: teaching your faith to your kids, freedom to travel, meeting special learning needs, etc. 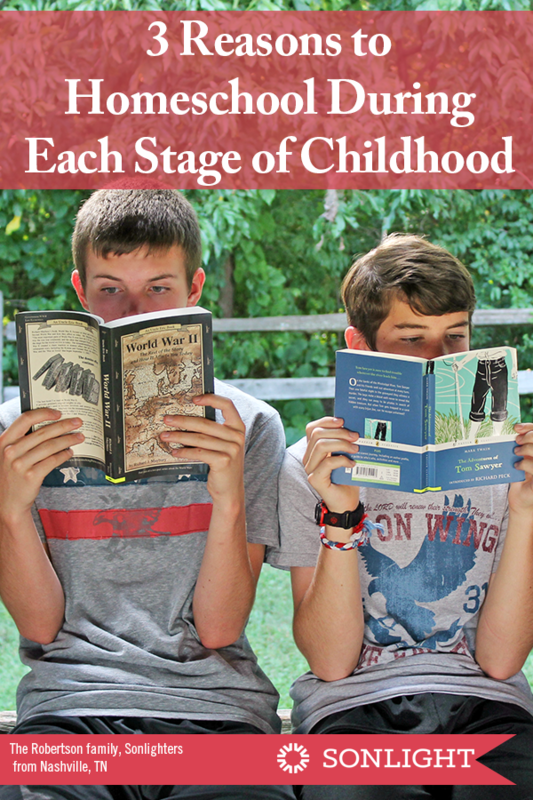 But today I'd love to offer some specific reasons to homeschool at the various stages along the way. Whether your oldest is three or sixteen, here's a little encouragement to keep at it if you are already homeschooling or to take the plunge if you aren't homeschooling yet. Preschoolers don't need worksheets and flashcards in order to be ready for academic success. In fact, too much seat work at this age can squash children's innate love of learning or even convince them that they are unintelligent. 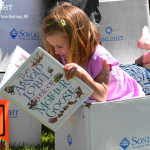 The two most important things preschoolers really need for later academic success is time for free play, and loving parents who read and talk with them. You can definitely provide those things at home! While traditional preschools continue to push academics earlier and earlier, you can give your little ones freedom to discover that learning is exciting. 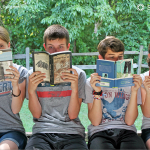 Are you curious about homeschooling but intimidated by the thought? Preschool is the perfect place to start. If you can read, talk, and play with your child, you can homeschool preschool. So what do you have to lose? Test the waters and see how it goes for your family. I have a feeling you'll love it. These are such precious years with your little ones. 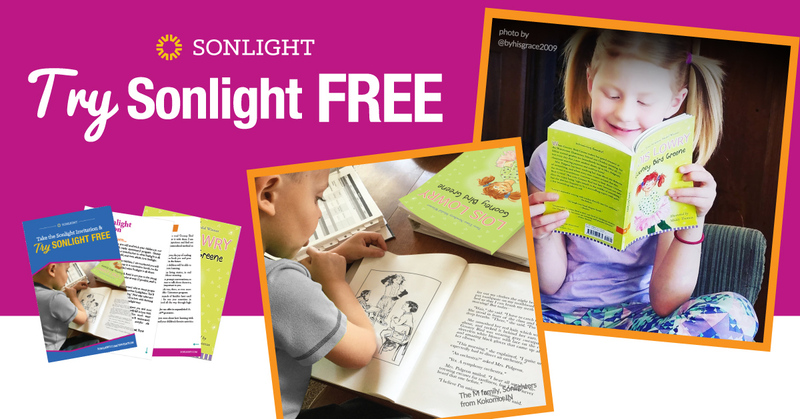 As you homeschool the Sonlight way, you will develop rhythms of reading, cuddling, talking, and creating that lay the foundation for a deepening relationship for years to come. 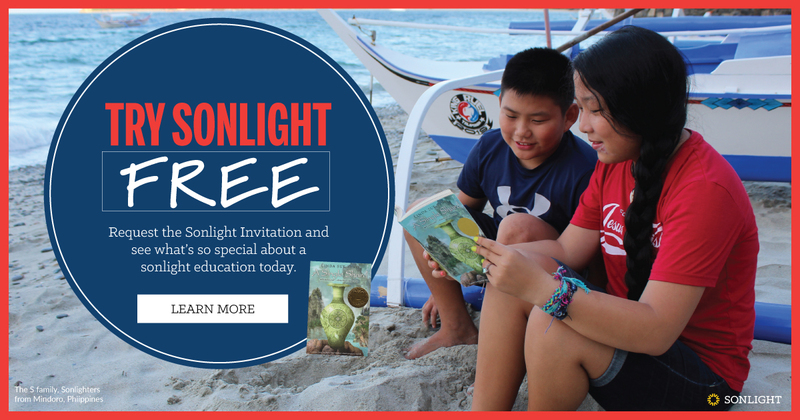 As a homeschooler, Sonlight student Caleb S has freedom to be himself and get excited about learning. So naturally, he dons his puppy dog hat as he explores a classic book about dogs. 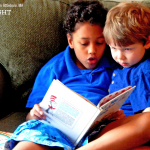 Research confirms that it is unhelpful to push children to read before they are ready. (What it does instead is bring lots of tears, frustration, and labeling!) Most kids who learn to read at age seven easily catch up to those who have been reading since age three. So protect your child's love of learning and let them develop on their own timeline–something which can be all but impossible in a traditional school. 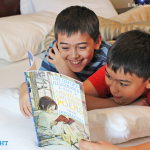 When your child is ready to read, you get to experience one of the highlights of homeschooling. There is nothing else like the joy of introducing your children to the amazing world of literacy. You get to open doors for them that will facilitate wonder and discovery for the rest of their lives. I still get goose bumps when I think of how precious it was to sit on the couch with my kids and watch each of them gradually take off with reading. Little children don't need to learn to sit still for hours on end, with only a short recess squeezed in. God created them with bundles of energy, curiosity and joy. You can give your kids outlets for all that at home. Does your son want to practice his math facts while he jumps on the trampoline in his Superman costume? Great! Be thankful he can get his energy out in acceptable ways instead of being disciplined in school for not sitting still. 1. If things are going well, why stop? If homeschooling during preschool and the early grades has worked for you, why send your kids to school now? If you just need to tweak some things, give our homeschool Advisors a call at no charge–they'll help you brainstorm solutions. Children absolutely need physical movement and free play in order to learn and develop to their capacity. Schools know this, but feel like their hands are tied ... and so by late elementary (and often earlier), recesses have been drastically shortened. Kids spend most of every day sitting quietly in chairs. Homeschooling gives your children the freedom to learn how God intended them to learn at this stage. 3. 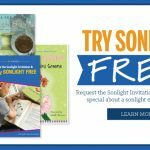 Enjoy some of my favorite Sonlight programs! 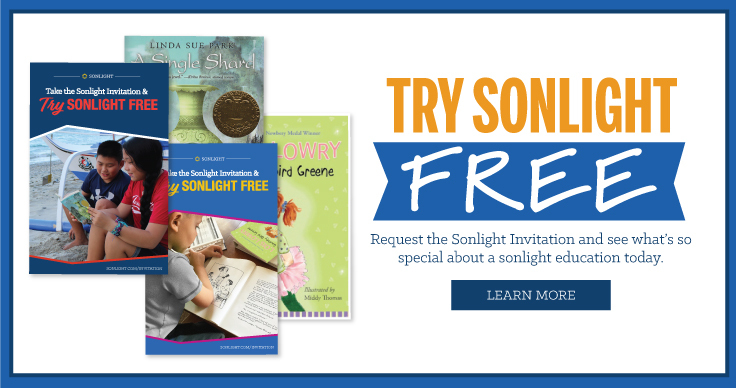 I adore every single Sonlight program. But HBLs E and F hold a special place in my heart. Many of my all-time favorite books show up in American History Year 2 of 2 (History / Bible / Literature E). And Eastern Hemisphere (History / Bible / Literature F) is truly special; many Sonlighters say it is their favorite. As far as I know, it is the only homeschool program of its kind. Middle school can be the hardest time socially for many children. In these years more than any other, there is incredible social pressure for children to walk in lockstep with each other. The social emphasis is on conformity, conformity, conformity. Homeschooling can spare your children from pressures that they aren't yet mature enough to handle. Does your son wear funky clothes? Does your daughter love astronomy and math? Homeschooling in middle school can go a long way toward allowing your kids to continue to develop as their own people, with their own interests. Some studies show that girls' self-esteem often plummets in middle school. I don't have data to back this up, but it seems like many homeschooled girls are spared this trauma. Free to be themselves without the fear of ridicule, they can continue to focus on learning as they also develop the emotional maturity they need for life. You've spent years reading and talking with your children, guiding them through their education. Now you get to reap the rewards of all that hard work! As your high schooler matures into an independent thinker, get a front row seat to hear his or her thoughts and questions. 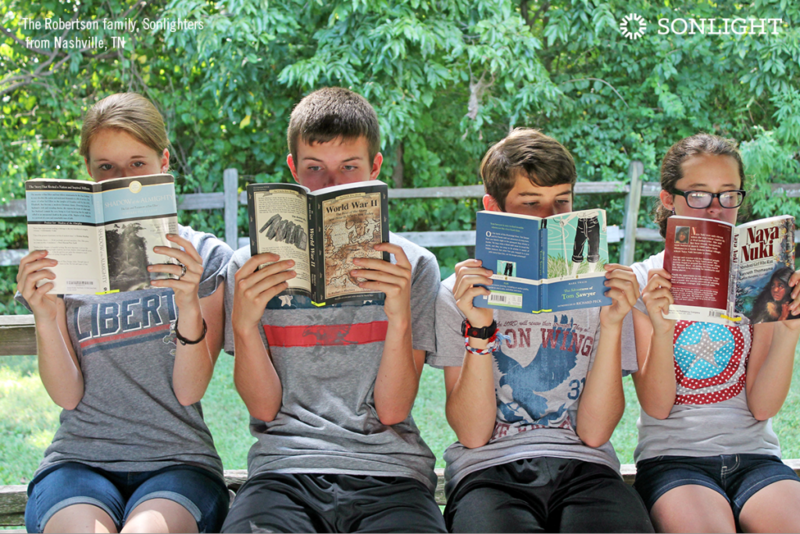 Many parents who homeschool through high school are amazed at the quality of relationship they enjoy with their teens. Now more than ever, you can tailor your children's education to their own interests and needs. With the amazing resources available through co-ops, college classes, online resources, and teach-yourself programs (such as Apologia for upper level Science), you can help your child soar, even if you don't understand Calculus yourself. You can focus on a STEM track (Science, Technology, Engineering and Mathematics), let them dive deep into music theory, or track down electives that develop their talents. Homeschoolers often have significantly more academic freedom to pursue their interests than traditional students do. As much as I love homeschooling, I realize it won't be the best fit for every family at every stage. But if you're on the fence, I pray this quick list will encourage you to consider the benefits of teaching your children at home. I obviously just brushed the surface here. What would you add to the list? We are currently in the early and late elementary school stages of homeschooling. Every word of your post is true. My very active boys are able to jump and shout and run about as much as they need to each day. I love knowing that our decision to homeschool has preserved their childhood. And this week we are reaping another sweet reward of this journey - vacation without crowds! We are enjoying time at a popular resort the week BEFORE Memorial Day. They are the only kids in the pool and I'm the only mom in a sun chair. It's delightful. 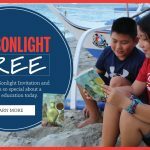 Thank you, Sonlight! 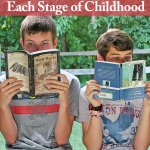 Thank you so much for your article about Homeschooling at Each Stage! My husband and I are struggling with the idea of allowing our oldest son to attend 8th grade at public school so we can apply a voucher to his private high school education. After reading your article, I am more convinced to homeschool through high school. We still need to pray and seek God's will, but coming across this article is no coincidence. Thank you Sarita! We are veteran Sonlighters and have loved each year so far! OH I love this! Shared on facebook and pinned! This is such a necessary reminder! I think I might print this off and put it somewhere I can read it every day!